Hope you are all enjoying your long Holiday Weekend! I wanted to give you something special today and I sooooooo hope you enjoy it and use it over and over and over again. It’s the first Entire Alphabet & Number Banner Set we have done and the first in a series of 12! Yes…Saturday for the next 12 weeks is a BANNER Day!!! 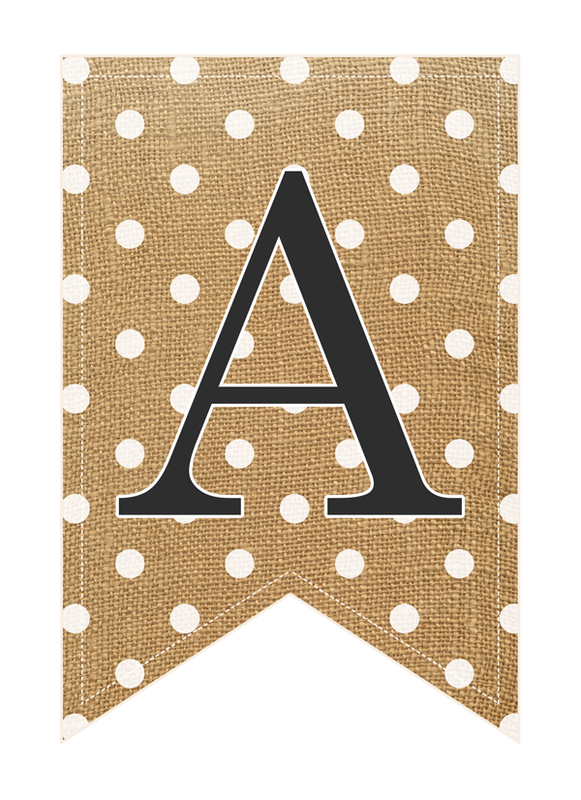 So…how do you feel about Burlap and Polka Dots? 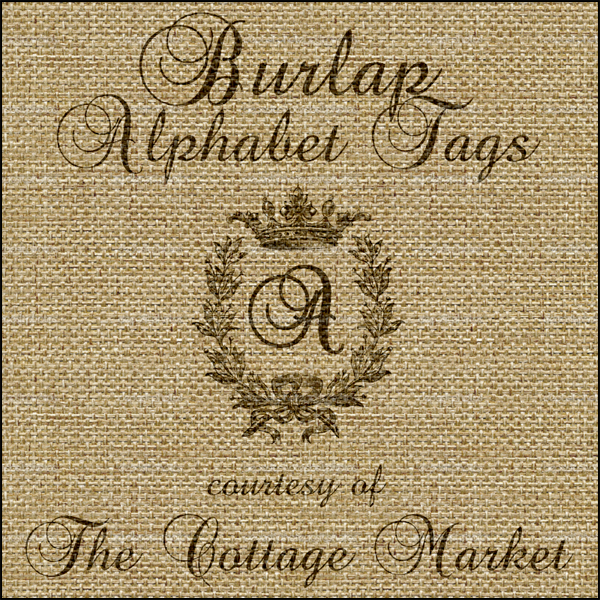 I hope you enjoy our Complete Burlap Alphabet & Number Banner Set! Now whenever you need a banner for a … birthday … anniversary … wedding … baby shower … to decorate your mantle … hang in the kitchen … to celebrate any occasion at all … you have a full alphabet and number set right here waiting for you to click…print and create! Just take out those scissors…punch 2 holes and begin to string…or maybe you would like to cut the banner pieces out and then a slightly larger complimentary scrapping paper and clip onto a hanging string with clothespins…the possibilities are endless! Each letter is 4″X6″, a great standard size and of course you can enlarge if you would like. Here is how each banner piece looks… all pretty in burlap and polka dots with tiny little white stitches running around for that extra finishing touch. I will be making one of these very soon and I will share it with you but I just wanted you to have it NOW!!! 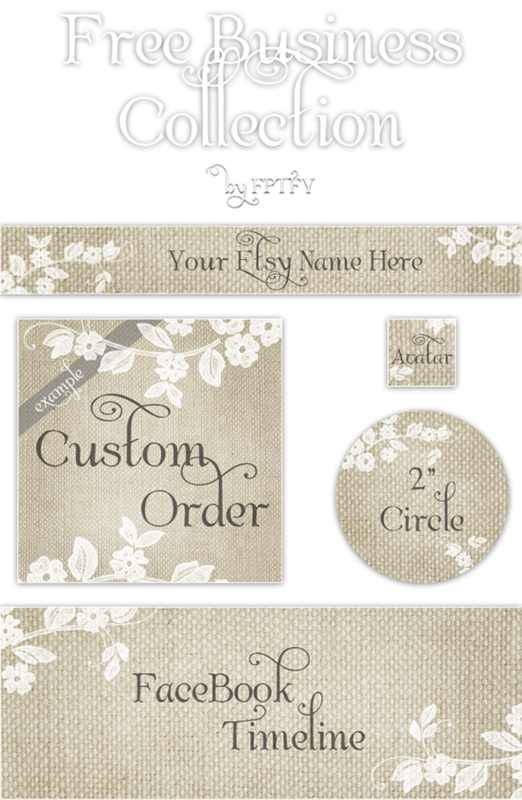 We even have a FULL Beautiful Burlap Etsy Shop Set! yes thee hath : ) lol!!!! sending hugs and ENJOY!!! Thank you soooo much!! I love these!! These are amazing! Visiting from Thistlewood! Pinning and sharing on my fb page! Hi there Marty, so nice to see meet you. So happy you enjoyed the banner and hope you have fun creating with them…stay tuned for another one on this coming Saturday and a ton of thanks to miss KariAnne for sharing : ) what a doll she is! hugs and welcome! These are gorgeous!! Karianne sent me over, I’ve pinned these and your other ones and now we’ll have to figure out which ones to use for my daughter’s wedding next year. These will fit her theme perfectly!! Thanks for sharing!! These are gorgeous!!! This set is just amazing!!!! So pretty! 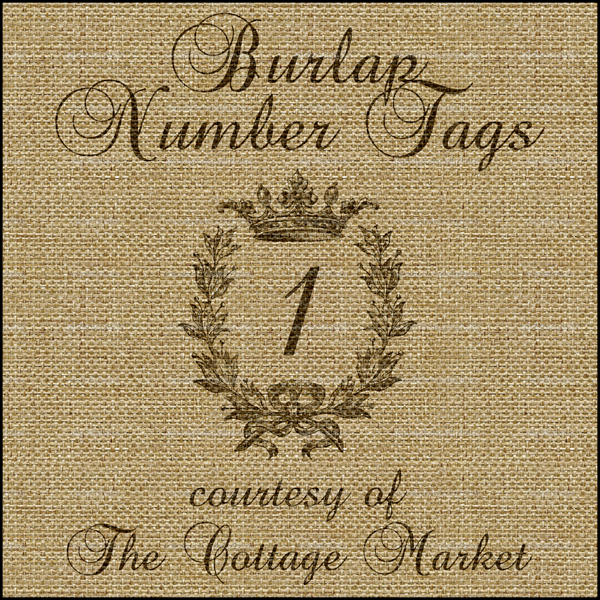 Makes me want to start a burlap blog … oh, wait, Kari has already done that!!! SOOOOOOO awesome to see you Dawn! I have missed you! I hate how crazy and busy life gets…I am just thrilled to see your smiling face and my little black cat friend! : ) Hope you have fun with these…I can see you using them in miniature form to create some of your awesome cards!!! Hugs…JJ says HI! These are the cutest! Thank you so much for sharing!!! Andrea, that banner is SO cute!! I am going to have to print these labels out and make this! It is adorable! Thank you SO much for sharing these printables! These are fabulous! Thank you SO SO much! 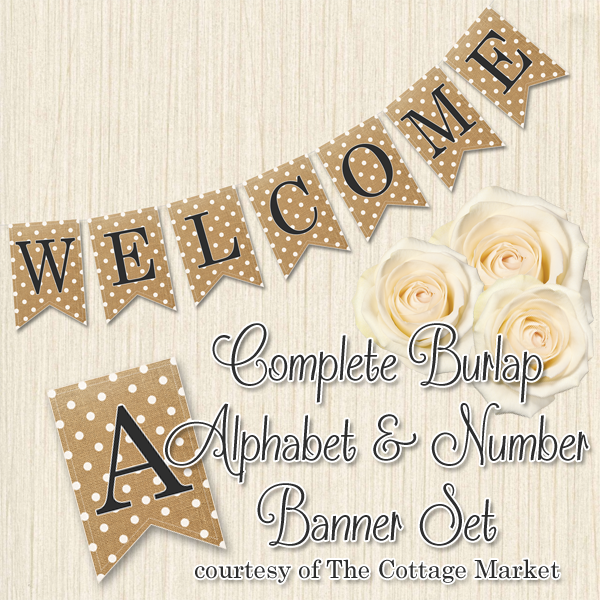 The complete burlap Alphabet and banner set with polka dots just looks fabulous. I am sure people will be already desperate to own one of them for this festive season. Thanks for the post. These are adorable! Thanks for sharing them…Pinned! So happy you are enjoying them Marti! We put new printables up all the time…so keep checking back…you never know what you are going to find : ) hugs and enjoy the day! I just love your ideas, thank you so much! Thanks very much! I love these!! Thank you so much! these are amazing!! it’s so nice of you to share with everyone, appreciate it SOOOO much!! Any chance you have a blank one? I have 2 words and need to separate them. suggestions?